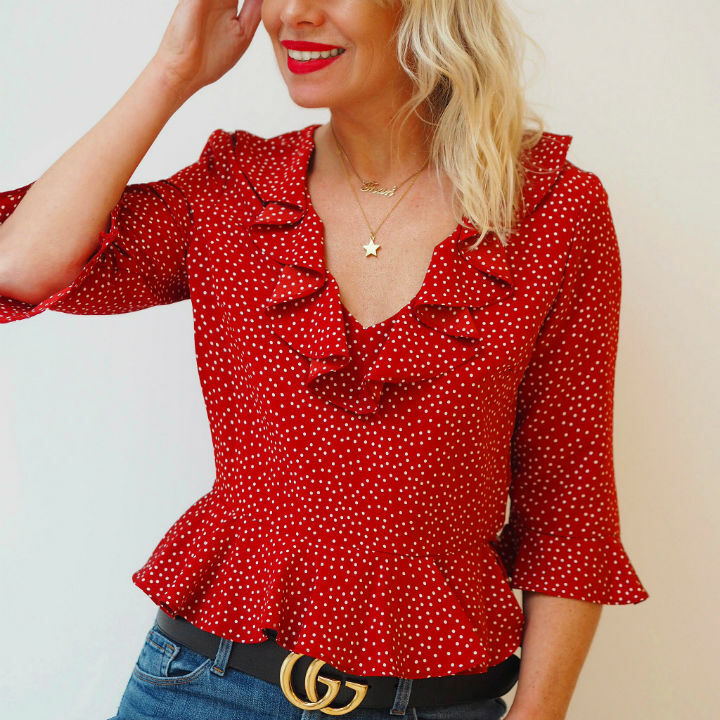 Love this top, it will look fab now under a chunky pink cardigan (see the &OtherStories one below) with ankle length jeans and trainers and in the summer wear with pale blue jeans and tan sandals, one of those tops you can wear loads. Love this top, it looks amazing 'in real life'. 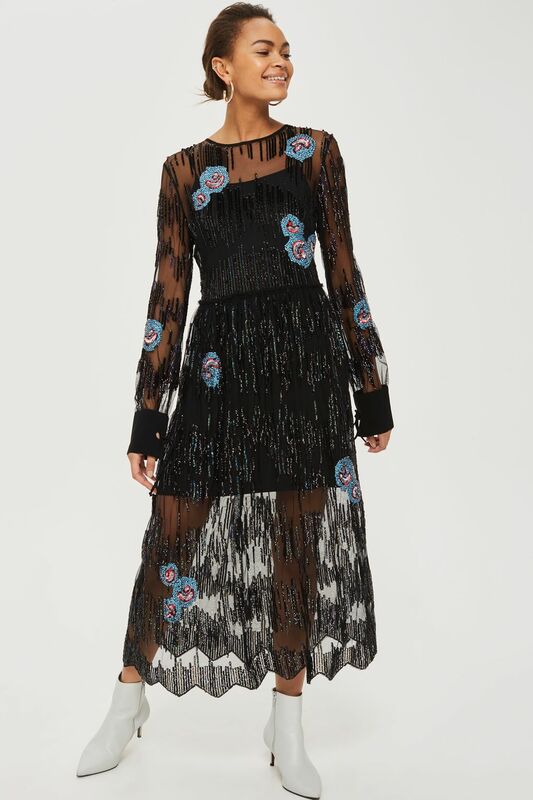 It is a complete eyecatcher, the wrap detail across the front will be excellent to cover over a tummy, again I would wear this with boyfriend jeans and red sock boots - super cool. In the summer wear with a denim skirt and white supergas. 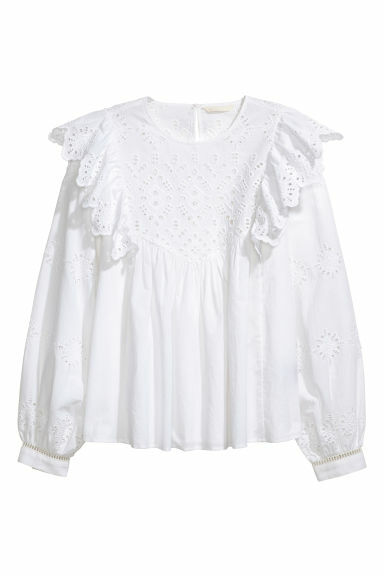 Love this Rixo-esque top, it looks great on, it is quite short so I wear a black bodysuit underneath like the one below.. I bought a size 10 so I would say true to size. 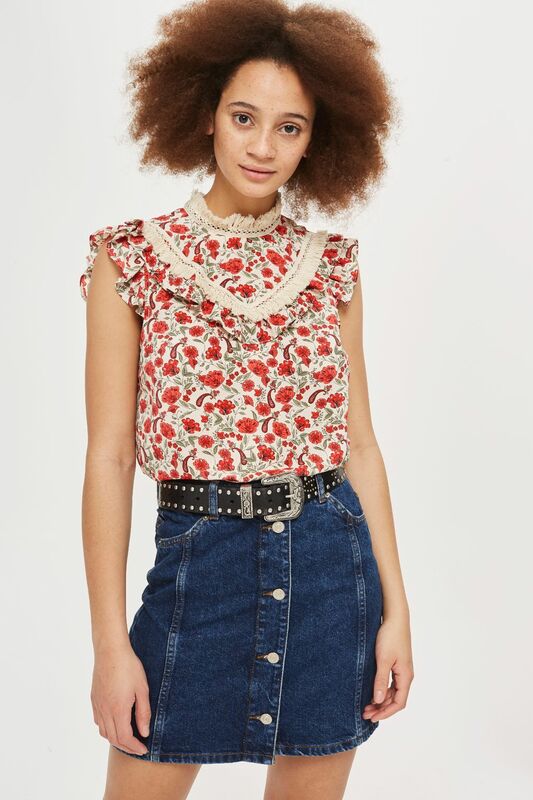 Can't wait to wear this top with jeans and white supergas in the summer!! 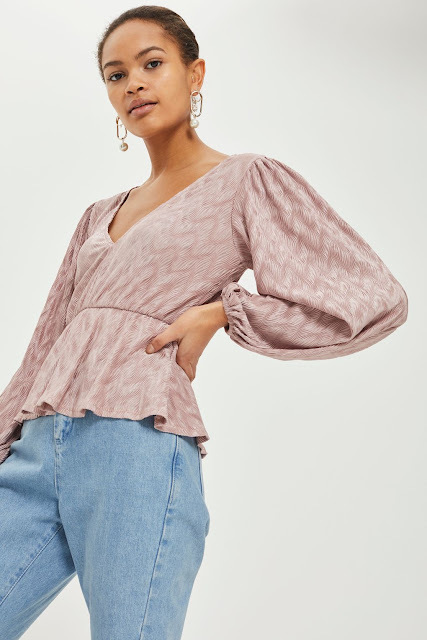 This is really expensive but I just wanted to show you this beautiful Rixo top, it is 80s 'tastic, it will look amazing with light blue jeans and trainers/heels, just such a fab shape. I would wear it with some simple gold jewellery, I think the scarf is a little fussy. 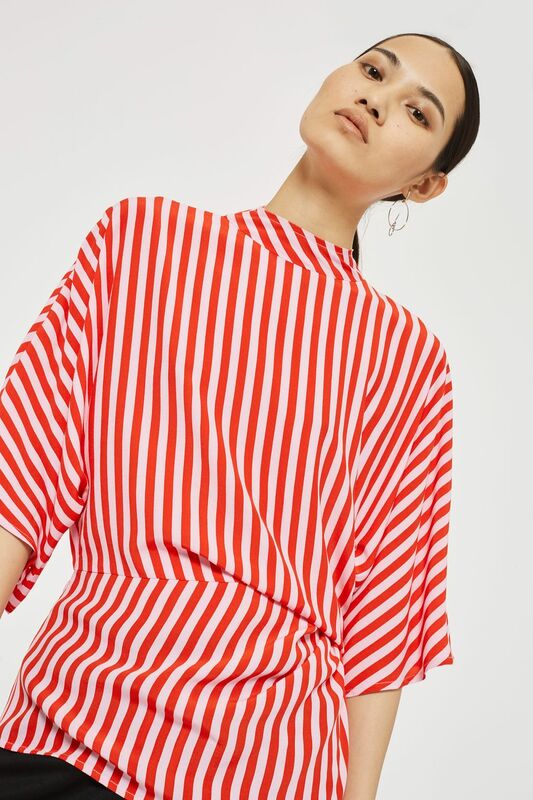 If you are looking for any Rixo pieces check out Studio B they have a fab range and some fab new Scandi brands, I am hoping they will soon be stocking this top. 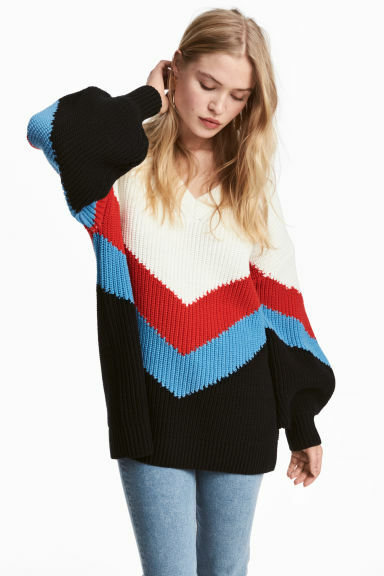 I have been stalking this jumper for a while, I spotted it on Instagram and love it, be quick though it will sell out fasssttt! I have just ordered these, they are sooo expensive but Me+Em trousers are worth the big investment. I order a size down as I find they come up a little big and I will have to take them up (a shame as I will lose the split!) but they are just gorge. 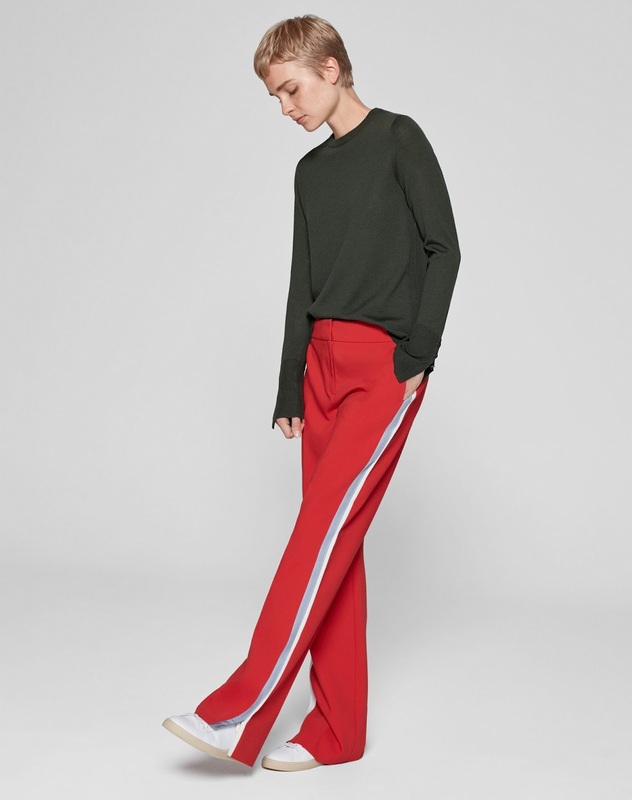 I had my eye on some Isabel Marant red tracksuit bottoms but they were too expensive. These have more of a trouser cut so will be more flattering and good for wearing out out. I will wear them with a tee and pink heels for a night out, throw my faux fur over the top to keep me warm. In the summer these will be fab with a breton tee and trainers..
Because a fresh new boho, broderie anglaise top is always a good idea! 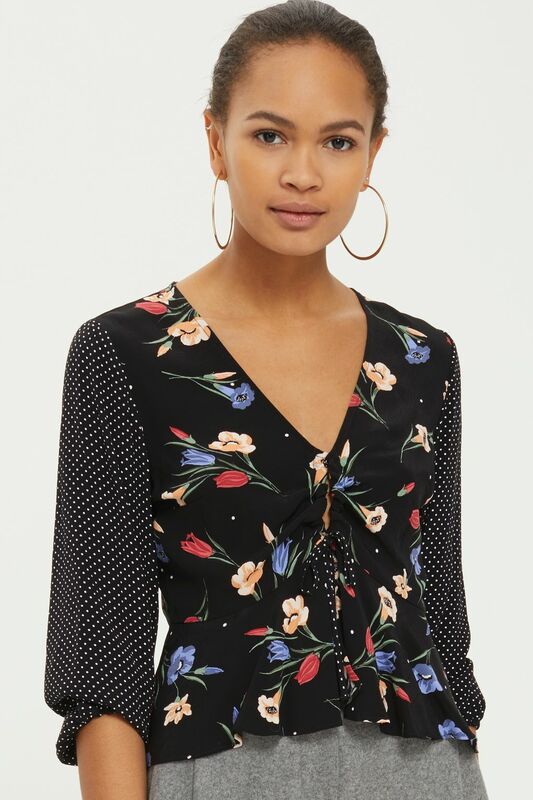 Feeling the love for the cardi again this season and this one is fab, the colours mean it will go with everything - go matchy matchy over a blue/pink/red top or clash up over a floral dress, this will be such a useful item all year through..
Also gorgeous in this pinky/peach colour. I bought a cardigan like this years ago from Quattro Rish and have worn it soo much.. In the meantime c'mon Spring!! Very nice styles. My personal favourite has to be the leather skirt with the pink blouse!